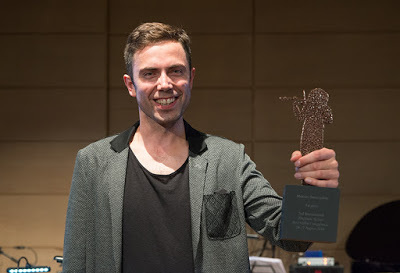 The semi-finalists in the 3rd International Zbigniew Seifert Jazz Violin Competition (Krakow and Lusławice) have been announced. Entrance standards to the competition were so high this year that 12 musicians (not 10 as previously) have qualified for the semi-final to be held in Kraków in July. The competition is open to violinists, violists and cellists. This year the judging panel includes a cellist, Erik Friedlander, in addition to violinists Mark Feldman, Dominique Pifarély and Michał Urbaniak. Through the competition, held every two years (in alternation with the Jarek Smietana Jazz Guitar Competition) it is hoped to discover musical individualities as great as Seifert himself. “It has happened before that the competitors who undertook to interpret Seifert’s compositions then introduced them into their standard concert repertoire. This is how we are fighting together to ensure this remarkable Polish artist has due place in the pantheon of international stars,” said one of the organisers. Gabriel Terracciano (viola) from the USA. Pianist and ECM artist, Dominik Wania, will accompany the auditions which take the form of free-of-charge public concerts at the Krzysztof Penderecki European Centre for Music in Lusławice. There are prizes totalling €17,000 and the winners are announced at a gala in Kraków.